The swords are already clanking over a disputed patch of turf two blocks north of Manhattan’s Ground Zero, and the noise grows louder by the day. “Let them build it!,” demands the HuffPost Left. “Over our dead bodies!,” answers the Tea Party Right. “Ignorant bigots!,” shouts the HuffPost Left. “Self-hating traitors!,” counters the Tea Party Right. 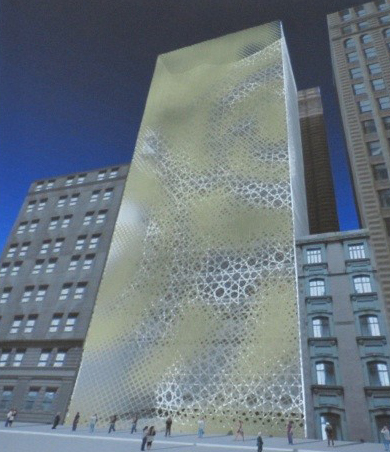 Proposed design for the "Park 51" Islamic center near Ground Zero: outrage or beacon of moderation? What’s the beef, exactly? The extremists are clashing over “The Islamic Center Formerly Known as Cordoba House,” recently rechristened (if that’s the proper word) “Park 51” in a futile attempt to disguise the project with a nondescript monicker. 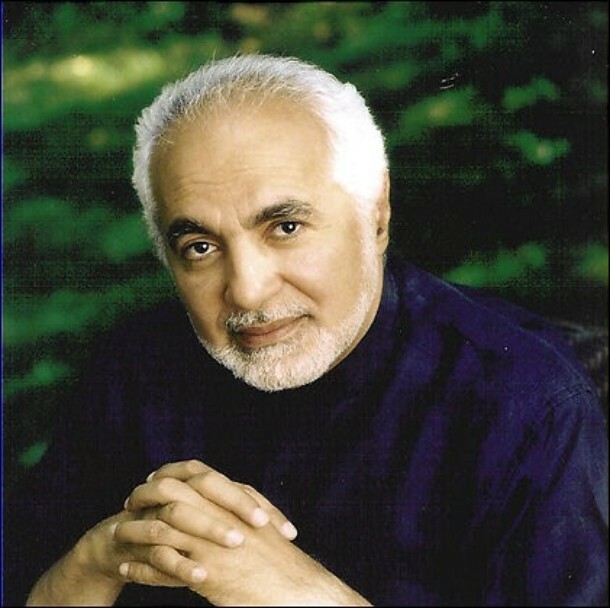 Brainchild of self-proclaimed moderate Muslim cleric Feisal Abdul Rauf, the center purportedly aspires to be an open, civil, warmly welcoming multicultural link between the Muslim community and the rest of American society. We desperately need such a link, of course, and we also need to see moderate Muslims grab center stage during the ongoing jihad of fevered Islamists against the West. The Right is insisting, somewhat vehemently, that Imam Rauf is no moderate — that he’s simply a clever deceiver, a front for ill-intentioned radical Islamists, a skilled practitioner of the age-old Muslim strategy of infiltrating non-Muslim societies to undermine their defenses. My colleagues and I are the anti-terrorists. We are the people who want to embolden the vast majority of Muslims who hate terrorism to stand up to the radical rhetoric. Our purpose is to interweave America’s Muslim population into the mainstream society. Brave and noble words, most of them — though the “interweave” part flashes across my brain like a little red warning light. Nothing alarming, mind you, but something tells me we need to be vigilant all the same. Yes, the assimilation of the Muslim community into American society is devoutly to be wished. But “interweaving” isn’t quite the same as “assimilating.” I worry about crescents sharing equal billing with crosses, progressive Americans greeting the inroads of sharia law with open arms, public schools forced to eliminate all references to pigs and Crusades for fear of offending Muslim sensibilities. But you know what? I’m overriding my instincts for the outside chance that Imam Rauf is serious about building anti-terrorist sentiment within the Muslim community. Short of an Islamic Martin Luther emerging to reform and reconstruct his religion from the ground up, Imam Rauf is currently our last best hope for encouraging moderate Muslim minds to prevail. He might or might not be a moderate himself, but I expect him to help subdue the flames of fanaticism that currently lick at the foundations of Western life. Besides, America grants the practitioners of every religion the right to practice their faith without interference. To grant that freedom to every group except Muslims would make us less American — and less decent as a nation. But we can’t be pushovers, either. (This isn’t England, after all.) Freedom of religion should never imply freedom to import alien laws into America. Islamic law can be particularly brutal and regressive, as most of us have learned from the recurring reports of ghastly retributions against Muslim wives and daughters. America must adopt a zero-tolerance attitude toward sharia law in this country, or we’re as doomed as Western Europe. I say it’s time we made a distinction between Islam as a faith and Islam as a social and legal system. We clearly need to accept the former (hear that, conservatives?) and reject the latter (got that, liberals?). There I stand, and no extremists of any religious or political persuasion will convince me otherwise. Here’s an amusing clip from Glen Beck’s show- I love Greg Gutfeld…I’ve only seen “Red Eye” on weekends, when it is on before midnight, but it is one of the brightest and funniest shows out there. I think, if Fox put it on closer to prime time, they might change their image! In any case, regardless of how you view Gutfeld’s “proposal” to build a gay bar next to the mosque, the tweet he got back from them ( and apparently that is not a joke, Rauf actually tweeted that message) is rather breathtaking in its hypocrisy. Priscilla: My computer is balking more than usual today (it’s driving me bonkers), and I can’t run the video. But I heard about this guy and his plans (whether real or spoof) for a gay bar next to the mosque: a great way to prove that location does matter. Someone on Glenn Beck’s radio show suggested another name for the establishment: OUTFIDEL. I think that there is a lot of misunderstanding when talking about building religious constructions. A religious construction is a sign of conquering of a territory, nothing else. It does not show cultural interaction even if a religion may be part of a given culture. Since the Man “acknowledged” some kind of supernatural being (SB), and fought in the name of that SB there was a tribute for that SB. The Romans brought and constructed structures of their deities on all conquered territories. When conquerors believed in SB of Christ they took the symbol of the cross and built constructions to show their SB power. Crusades are the first in the name of SB Christ wars. Churches were built near Jew synagogues on “Holy lot”. I don’t know how the mosques were built there, but for sure Muslims did not put there on approval of Jew and Christians. Spaniards conquered the New World in the name of god (Christian SB) and their queen, king and whatever royalty. The Church sprinted to demolish Maya and Inca temples and build new god over the old god (Christian SB), because the new god is more powerful. Pilgrims did not ask permission from Native Americans to build the new religious structures. But there was a time when territories could not be conquered in a name of some SB, because times came for Politics. Politics was “fair” for it let all kind of religious structures to be built as long as they pay taxes. I remember that England was the first to do that because the queen needed money. Furthermore, the Politics enjoy the quarrel among religions for Politics base is “Divide et Impera”. Exactly what is happening now! USA independence was supposed to be also from religion and be a political new state, but Christian SB inclined say: “We were here first, we conquered Natives American, and we put them in reservation so a new Christian state is born!” Look at our Founding Fathers they created a Christian Fatherland! But Politics are kicking in and we want a separation between church and state as initially was intended after the French Revolution. I think that France was the first secular state. Politics want to dominate over the religion, so start the quarrelling ladies and gentlemen! My stance is not Left of Right, just Moderate and I think that it is better to end the construction of any kind of religious structure. After all Jesus did not say to build a construction for Christianism, he did not get to see what mess his “followers” created. Valdo: You’re right about religious buildings being the architectural equivalent of an animal peeing on a tree to mark its territory — up to a point. Italy went Christian around A.D. 313, yet they kept building new churches there for nearly 17 centuries. So you can’t say they were marking their territory all that time. Rick wrote: Italy went Christian around A.D. 313, yet they kept building new churches there for nearly 17 centuries. So you can’t say they were marking their territory all that time. A secular government as haven for all religions is wondeful for politics! Unfortunately the US is not as secular as France. Members of US government (Congress, I think) start their sessions with praise to Jews god the one who gave Jesus not Mohamed. Theoretically is the same god, but practically we are screwed over the details. Moreover, what is happening now is a religious meddling in government from Christians because our founding principles were founded by people supposedly Christian. Now, if we let Muslims to build a structure in the name of Allah then either Christians shows “lenience” toward and adversary, or Muslims see it as a victory over Christians. Moderates p0litical point should be that there is never moderation in religions (there is not even in politics, but at least we follow one political trend at the time), therefore if you want religious moderation, leave whatever religious structures where they exist and make them things of the past, so we can remember how immoderate are religions. We can practice all religion as in the time they were born: under the free sky or in modest buildings. The US was not founded as a secular state, Valdo, and the founding fathers were, in fact, Christian, not “supposedly” Christian. The constitution was meant to keep the government from establishing a state religion, not to keep religious groups from doing anything – and “anything” would include building churches, synagogues, temples and mosques – that was in the scope of the law. Unfortunately, I don’t think that there is even an outside chance that Imam Rauf is a good guy, or that his mosque will promote anti-terrorist sentiment…at least, not intentionally so. And I do not think that the mosque should be built at Ground Zero. I do agree that it is not lawful for the government to prevent its construction, and it would be a violation of property rights to do so. Priscilla wrote: ..you never said that America was founded as a secular state. It’s not about the fact that Muslims will build mosques, it is about their intolerance to making fun of Allah or Mohammad. People do not hurt believers as long as their deities keep them strong in their beliefs. Jews, Catholics, Buddhist, Hindu have their share of jokes sometime made at themselves (as you know, the most funny jokes are about forbidden things), but not to laugh at Allah or Mohammad because you can be killed, is totally unacceptable. What the heck? Are we back in the Dark Ages? Valdo: Yes, aggressive religions (like Islam and, for that matter, colonial-era Christianity) pee on other people’s marked trees to establish dominance and expand their territory. We agree there. And of course you’re right about the oversensitivity of Muslims to the most trivial jokes about Mohammed. That’s the mark of fanatics. Rick wrote: And of course you’re right about the oversensitivity of Muslims to the most trivial jokes about Mohammed. That’s the mark of fanatics. A few years ago I’ve been working with a Muslim. He told me that he is Muslim and I made a gesture by rising hands and letting them down (it could be interpreted also as making “waves” on a stadium at an sport event). The guy eyes were like he wanted to kill me on the spot. We never spoke since then. The Muslim message is clear: if the Jews, Christians, Hindu or Buddhist can make joke about their religions or let other make jokes at their religion, then only Islam is true religion for nobody dare to make a joke about it. PS. I never intended to mock or joke about Islam, just I remembered that they throws their arms in the air when they are on their knees… so I wanted to describe what I knew like when you talk about Christians, they make the cross sign on their body…. Stubborn Mule: It’s already happening in Europe. England has at least 10 sharia courts and the Muslim populations of Western Europe are pressing for more. The Archbishop of Canterbury has given his nod of approval to sharia law in England (not that he has any authority to do so, but his prestige carries some weight). Once Muslims become the majority (give them another half century or so), the rest of England will probably have to march in step. Here in the U.S., sharia could be introduced as a component of First Amendment rights. What we’d have to do is split the social and legal aspects of Islam from the faith itself — a tricky maneuver — and forbid the first two while we protect the third. Muslim clerics will argue that sharia is an integral part of Islam, but we just have to say no. Firmly. Even as slightly ambiguous as it is, by the true definition of the term, the United States WAS founded as a secular nation. Secularism can indeed exclude religion, but it can also be indifferent to it. A secular paradigm does not necessarily suppress religion, it simply is “not bound” by it. Secularism addresses the tangible, and while its typical form is “not overtly or specifically religious,” nothing in the definition states that is has to be. Whether the founders themselves were actually religious (Christian) or not is irrelevant. An individual’s or group’s personal or collective beliefs or practices don’t have to preclude secularism. The American state was established based upon concepts including–but not limited to–tolerance, moderation, and liberty. These ideas are exclusive to neither religion nor the rejection of it. But since secularism encompasses both, only in that paradigm can these tenets have any hope to survive. The “Ground Zero Mosque” is not a cut-and-dry issue for me at all. I’m chagrined to admit that I blew my top when the proposal was first announced. But a lot of reading and listening forced me to calm down. I still feel that the venture is unwise to say the very least. The left wing’s ineffable shock, though, at people who choose to take offense (a symbol to which the attackers who destroyed their countrymen/friends/family pay fealty is being erected right where it happened; why SHOULD they be upset, the bigots!) is not only misguided, it’s inexcusable. Lefties also attempt to obfuscate the issue with the obvious: of course Rauf has every legal right to build whatever he wants. The salient point is, SHOULD he? But what hit the moderate and rational perspective home for me was political columnist and ABC’s This Week commentator George Will’s sober take on it: “You know it’s a slow news day when the biggest story is a new building. People need to stop worrying about sensitivity and move on.” I concur with Mr. Bayan that we need to remain vigilant with these purported moderate Muslims. But another mosque, or church, or any spiritual gathering, while undesirable to me, is nothing more than an annoyance. The idea of a religious state allowing other religions to build, I think, was founded by Queen Elisabeth, who allowed Jews to build their temples in exchange of some taxes. Of course Christians did not pay taxes on their religion. I think the “Conservatives” of the US think the same.